The phrase ‘stand out from the crowd’ has never been so wrong when it comes to our next trend … CAMOUFLAGE. It has not been seen since the tail-end of the 90s, but both designer and high street brands can’t get enough of this trend. We believe the best way to wear camouflage is through graphic t-shirts and coats. The t-shirt on the far left, is a lightweight cotton jersey t-shirt by Marc by Marc Jacob, which can be dressed up with a pair of black skinny jeans. The jacket on the far right is a Khaki Camo Field Jacket from TOPMAN. Camouflage can also be added through the use of accessories, like a pair of Arthur George socks, DESIGNED BY THE LOVE OF MY LIFE Rob Kardashian, (Sharnie) a rucksack (which could be worn with a plain white tee and skinny jeans) and a camo beanie. A blazer is a fashion must have, this year update your wardrobe with a DOUBLE-BREASTED addition. After the recent London Men’s Fashion Week, its clear that the double-breasted blazer is going to be an item that can be worn throughout 2013, in both the classic style with a pair of matching trouser and as a standalone piece. C’mon even Justin Timberlake is singing about suits and ties … keep with the programme peeps. The blazer on the far left is a limited edition double-breasted blazer from River Island. The navy colour means it can be worn as part of a casual ensemble with a pair of casual denim and brogues. The third blazer is a double-breasted cotton blend pique blazer by Paul Smith. Its single double-breasted button give it an elegant formal look which can add a touch of class to any occasion. Graphic t-shirts are around every year, however different styles come in and out of fashion. This season stick to t-shirts with STRIPES, SLOGANS and FLORAL PRINTS. Below are 5 t-shirts which we believe highlight these trends. 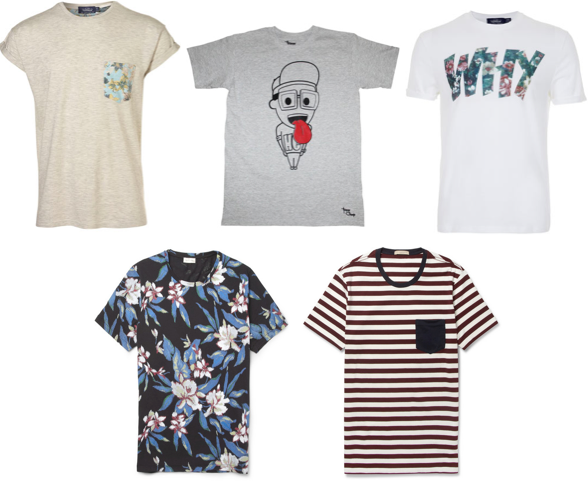 Here are just a few t-shirts that are available from both designers and high street brands. We believe that the ‘geek’ slogan t-shirt that is available from TOPMAN and many other stores is to over worn, so why not go for this ‘Why’ floral print t-shirt. Our favorite t-shirt in this collection is the t-shirt in the center of the top row. I (Kishan) actually own this t-shirt, and believe that the HappyChap design by Raymond Mfon, who we believe is one to watch, is simplistic yet affective. So affective that Ed Sheeran and Delilah have both been pictured wearing his designs. WATCH THIS SPACE and fly with MFON! Advancements in technology are now being translated into fashion, with this new trend. LIGHTWEIGHT COATS are going to be featured in many designer and high street brands lines from the front end of 2013. Using lightweight hi-tech material jackets can add to those formal and casual looks. 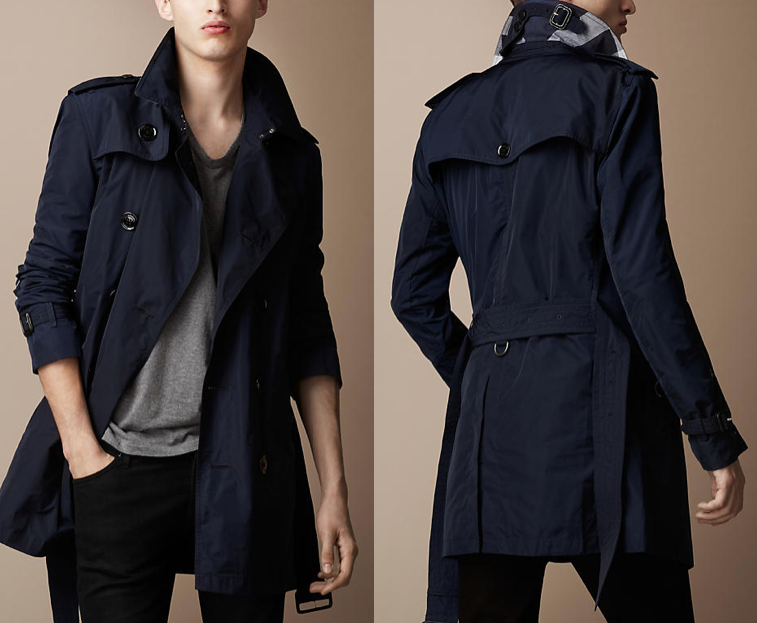 The lightweight technical fabric packaway trench coat below by Burberry, can work as part of a casual look, as shown in the photo or it can be worn with a classic shirt, tie and pair of smart trousers. This spring look will have you looking so FRESH AND SO CLEAN CLEANNNNNN! SHORTS are always going to be a hit during spring/summer (OR WHENEVER IT STOPS SNOWING/RAINING), however this year guys, lets not go for super-short shorts, and instead go for shorts that are closer to knee length. The shorts on the left are by Dolce and Gabbana, the smart tailored cut means these shorts are versatile enough to be worn in a casual look with a simple t-shirt, and as part of a more tailored look with a shirt and double-breasted blazer. The pair of shorts on the right are from River Island. The light brown colour makes them perfect for any summer getaways, which the smart cut makes them perfect to dress up for a formal look. P.S. This is to the guys reading this, one trend that hasn’t and should never be seen in 2013 is the GILET. I (Kishan) hate them, they are the most over worn piece of clothing around atm, and as well as shamballas (according to sharnie if you own one of these bracelets you should be shot off the face of the earth…. 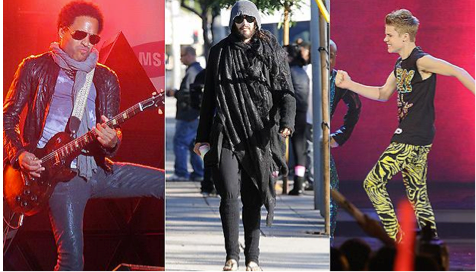 MAJOR FASHION NONO!!) these all should be left in 2012. Why not use NYE as an excuse to shop the sales and bag yourself a lastminute.com outfit. I know everyone has price limits and all that Jazz, so I have decided to give you 2 outfit styles from 2 different brands/sites for both sexes. Let’s get this show on the RUNWAY! First outfit is a playsuit from ASOS, it has £30 off the original price… ohhh laaaa laaaaaaaaa. The playsuit is petite, which basically means it may be shorter than normal, if you don’t feel comfortable getting your pins out, you can always opt for a bigger size. The plunge of the playsuit gives you just the right amount of cleavage (to perhaps bag yourself a NYE kiss!) Whilst the embellished sequins add that extra bit of sparkle so you can “Shine bright like a diamond” in the words of Rihanna. I have paired this playsuit with a choice of three different heels, the first two have a green sole… that’s right I’ve paired this beautiful playsuit with the talented Chloe Jade Green’s new CJG shoe collection. For all you Kardashian fans out there, Kourtney Kardashian recently tweeted a picture of herself in the first CJG shoes pictured on the left. You too can get the green sole look for much cheaper than Christian Louboutins trademark red! The final pair of heels (the bottom pair) is a classic from Topshop‘s Premium collection. The great thing about these heels are, they will always be the icing on the cake to any simple outfit. To complete this look you need to ACCESSORIZE but you cannot go over the top! The playsuit is already “busy” so your accessories need to be toned down, or else you could look like… Katie Price… and nobody wants that! The ASOS model is wearing a really thin necklace; I suggest you stick to something similar or no necklace at all… instead wearing a ring will help compliment the playsuit and keep you looking PHENOMENAL! To complete your look either of these two gorgeous clutches from ASOS on the right and left will help you Usain Bolt across the fashion line in 1st place… they both complete the look ensuring you party the night away in style. For those of you who have cash to splash on High Fashion wear, the following outfits are just for you… available at Net-A-Porter, there are amazing LBDs for NYE… (you cannot go wrong with a LBD!) On the left you have a stunning Alexander McQueen black crepe dress. The 80’s style shoulder pads really defines the dress, making this girl look like she is on fire (as Alicia Keys would say so herself!) The second of the two dresses (right) is a Hervé Léger dress, the fantastique yet understated iconic bandage dress will enhance your silhouette giving you a figure to die for! The shoe game I have selected to match both LBDs are from 3 different designers! The first pair on the left is a pair of classic black Yves Saint Laurent’s pumps, every FASHIONBOT needs a pair of these chic pumps in their wardrobe, no matter what the season these pumps will always be in style. After the pumps, I have a divine pair of Nicholas Kirkwood sandals. The embroidered mesh and the suede heel literally scream SHOEGASM! Although they are daring, they will give you a sensational NYE look with your LBD! Can you spot the red sole… that’s right the third and final pair pumps are of course from the Brilliant Christian Louboutin collection, the rainbow coloured Daffodile pumps will maximise the simplicity of your dress, and draw attention to your pins (so make sure you moisturise!). These heels are made for walking, and that’s just what they’ll do on New Years Eve these heels are gonna walk all over you. The first clutch is the signature box by Alexander McQueen. The Swarovski embellished clutch has an optional leather strap so if you become lazy, you don’t have to carry it in your hands (in other words if you have too much to drink on NYE, and are to busy cutting shapes, you can turn the clutch into a shoulder bag!) The second clutch is one of my favourite clutches by Miu Miu, it’s the perfect size to slip under your arm, it compliments everything… well not everything (it wouldn’t compliment Tulisa’s adidas tracksuit, that’s for sure) it’s an accessory to treasure forever. No dress is complete without a fabulous watch to add some va va voom to your wrist, and what better way to complete it than a Michael Kors watch. This watch helps polish the final outfit (timeless chic)! VOILAAAAAAAAAAAAAAAA that’s NYE sorted for the girls… now it’s the guys turn! With that being said our first choice would have to be TWEED. There are a number of tweed jackets floating around the high street, in various colours and styles. The two below are from two of the most popular high street menswear brands. The first tweed jacket is from ASOS, and the one next to it, is from Topman. Tweed jackets are nice dressed down with a plaid shirt, however its NYE and I want you to look DAPPER … matching the tweed jacket with a plain white shirt will help put your outfit together. Now white shirts don’t have to be expensive, they can be purchased from Primark for around £3.50, however if you like to be comfortable in what you wear (NOT THAT I’M INSULTING PRIMARK OR ANYTHING…. does speaking the truth count? I would suggest you go for brands such as Zara, Urban Outfitters, Allsaints and River Island for comfort and style. The shirt below is from River Island, and while it may be a plain white shirt, the slim fit helps give you a more tailored look. Moving on to the skinnies… Okay I know there’s a few of you guys who think skinny… YES SKINNY jeans somehow affect your masculinity… WRONG, in fact wearing a pair of skinny jeans with this outfit helps to compliment your outfit by given you a great body structure. Everybody owns a pair there’s no point in denying it (especially the guys who wear women’s skinny jeans… (I SEE YOU … AND KNOW WHO YOU ARE) so this might be the time to dust them off and bring them out. Both skinnies are from Topman, and for the guys who think skinny jeans are too claustrophobic around their male region, a pair of dark straight jeans can be used as a replacement. Finally don’t be the person that wears bog standard black formal granddad shoes (that let’s face it no one would even want to be buried in) on a night out. Our recommendations are either go for desert shoes or boots, both complimenting the tweed jacket while also looking amazing with the skinnies. The boots below are from Topman and ASOS. For Men’s High Fashion wear, you can find my chosen outfit on Mr Porter. You cannot do high fashion without a piece from the great Alexander McQueen right… so what better way to kick off you NYE outfit with than this 1950s style check wool blazer. The blazer is slim fit, which enhances your body shape… especially around the shoulder region. I have teamed up McQueen with an understated Gucci shirt. Although the shirt may be understated, the pearl buttons enhance the tailoring making it flattering, and the material (100% cotton… JACKPOT) making the shirt very comfortable! Paired with Gucci Leather Brogues will complete your NYE outfit (you cannot go wrong with a pair of brogues, even Victoria Beckham agrees!) The brogues are a TIMELESS CHIC and can be worn with the Etro trousers or jeans, and will probably be your most worn shoe in your wardrobe. So that’s it from me, hope I’ve been a massive help, and have an amazing NYE in style FASHIONBOTS and hopefully I’ve done enough for you to not be standing alone for the NYE countdown!! !